This icy wonderland from Midway, Utah looks like it appears out of a fairytale. The ice castle was built over a month and a half long period using a process of freezing icicles in an icicle farm, stacking them up and misting overtop of them throughout the night to grow larger and larger over time. 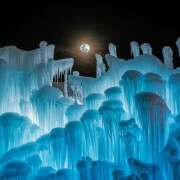 This year, four ice castles can be found around the United States. 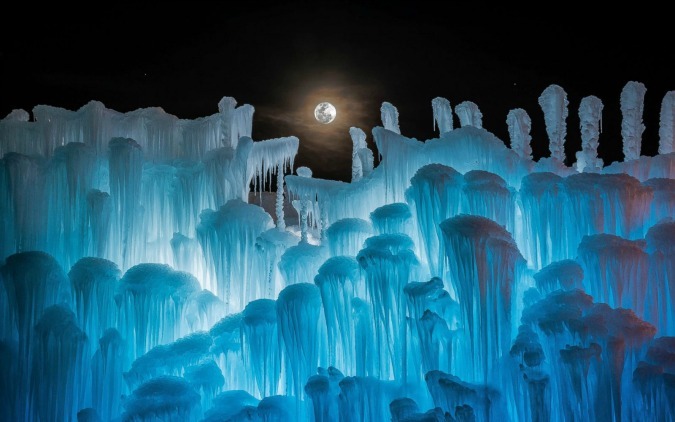 Originally created by Brent Christensen, ice castles creates spaces where people can interact with and enjoy the beautiful natural structures created by ice and light! (source).